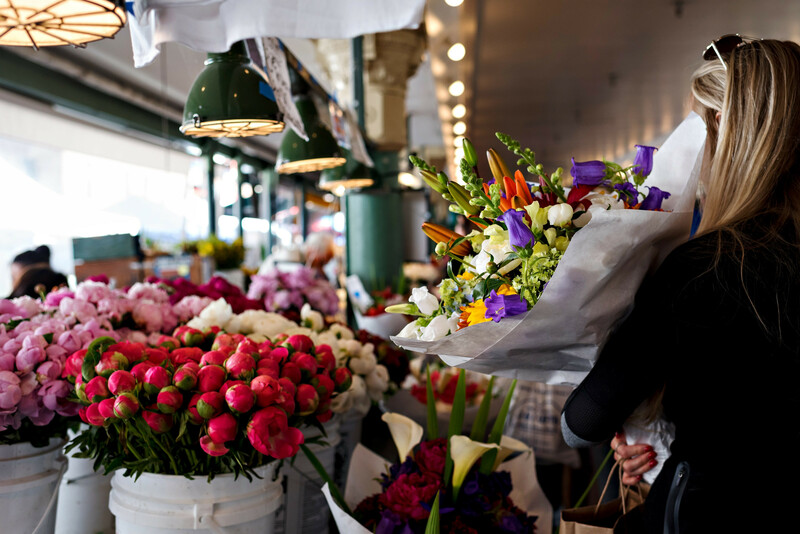 The epicenter of Seattle’s independent businesses, which include specialty stores, restaurants, and breweries, Pike Place Market is a must-visit for locals and tourists alike. Find shops that sell unique products like vinyl records, miniature cars, antiques, artwork, and jewelry. Even better, the shops on Western Ave stay open late every first Thursday of the month and include special giveaways. Window-shop, people-watch, and check out special events open to the public. Food is also a major part of the Pike Place Market experience. Bakeries, chocolatiers, seafood restaurants, bars, and cafes are around every corner, among others. Eateries like the Pike Pub at Pike's Brewing Company are a great place for a night out with friends. Those who enjoy fresh fruits and vegetables should keep an eye out for both the Farmer’s Market and the highstalls, which are year-round produce stands. Seattle is a city that embraces creativity, so there’s no surprise that there’s an abundance of art museums. Beauty can be found everywhere at Chihuly Garden & Glass, whether in the outdoor garden or inside the 40-foot tall glasshouse. For those on a budget, the Frye Art Museum’s admission is always free and includes unique exhibits that range from landscape paintings to explorations of nature and technology. The museum options go far beyond art, however. Find fun at the MoPOP Museum of Pop Culture to discover some of the most significant moments in rock music, comic books, and video games. Head over to the Wing Luke Museum to learn about the lives and cultural impact brought by Asian-Americans. Art enthusiasts will also love the Olympic Sculpture Park, which is home to some truly impressive creations. Managed by the Seattle Art Museum, there are free public tours, which discuss a wide range of topics while exploring the park’s lively spaces, from the landscape to selected sculptures. For a more private experience, be sure to visit the Waterfall Garden Park in Pioneer Square. When the weather is nice, it’s a peaceful spot for reading a book, meditating, or just getting away from the hustle and bustle of the city in this secluded little park. In the evening, Golden Garden Park has some of the city’s best sunsets, making it the perfect place for a romantic picnic. The park is also one of the few places in the city with designated spots for bonfires, so on chilly nights or calm summer evenings, groups of friends can gather around the fire and hang out. Seattle is gorgeous, and there are few better ways to appreciate the skyline than by visiting the Space Needle. The landmark tower offers sweeping views of the Emerald City, allowing visitors an unobstructed view of massive buildings, colorful parks, and the distant mountains. Another option is the Skyview Observatory. At nearly 1,000ft it offers a 360-degree view of Seattle, it offers the tallest public viewing area west of the Mississippi. See breathtaking views of Mount Rainer, Bellevue, Elliot Bay, the Cascades, Mount Baker, and the Space Needle.